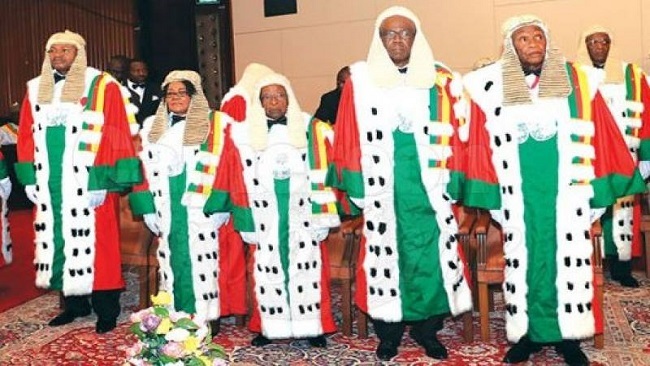 The judges at the Constitutional Council will go down in the nation’s hall of infamy and shame; the 10 senile-looking men and one socially-retired woman who validated the massive fraud that was perpetrated against the Cameroonian people by ELECAM. As an uncircumcised appendage of the ruling CPDM party, ELECAM shamelessly falsified the results and gave victory to their paymaster, Biya. And despite the mountain of evidence presented by lawyers for the opposition candidates, the CC merely validated the ELECAM fraud. This is how you win elections in Cameroon. Despite the huge material and financial resources at their disposal, CPDM elite showed little interest in Biya’s re-election and ran a lackluster “bread-and-sardines” campaign, so glaringly bereft of ideas and vision and generally lacking in depth of thinking as to answer the basic question whether Cameroonians were better-off now, than they were in 2011. Biya lost at the polls but won at ELECAM! It is just a power grab by the vampire elite that has captured and taken the country hostage. Cameroonians must rise up in resistance and take back their country.